It sure is a thing of beauty. What a nice color. I know I am going to love this pickle. I am going to have to bookmark this for next year. You should remind us next year when you start making these pickles. Gini, I sure will! I am going to need to make more in another 6 months or so because the rate at which these pickles are disappearing is quite phenomenal. On the one hand I am not sure it's a good thing to be eating so much pickle, while on the other, I totally understand! I like the way you concluded your post! Another lovely post Manisha. I loved your presentation. We make a similar kind of lime pickle but dont add methi to it. My mom never cooks the lime/lemon pickle, she just leaves it in a dry place. So it takes months to actually start using the pickle. BTW..I loved live pickle more then the lemon version, I would definitely try it soon. Shilpa, the whole methi seeds are usually not included in this pickle. My sister has been adding them for the last couple of years and they taste divine. The lime pickle does have more interesting flavors because of the ginger, green chillies and whole chillies. Manisha - thanks for sharing. It looks divine. But I'm probably late for this year. When do you start making the pickles? Linda, the Colorado sun is simply amazing! It is so strong that it has a bleaching effect! I used Kashmiri chilli powder in my lemon pickle but the color is not as red as when I use it in regular cooking. The green chillies in this lime pickle were dark green. They are now a pale green in color. I'm sure the chemistry of the limes and salt also had something to do with it but the pickle my sister sends me always has dark green chillies in it and her lemon pickle is always a vibrant red. So I conclude on a very small and unscientific sample size that the Colorado sun has a bleaching effect! Manju, if you were in my neighborhood, you know I would have made a jar for you! Mandira, it is a tad late but I didn't want to post unless I was sure how this was going to turn out. The juices released were far more than in my lemon pickle which is why I waited till it was ready. This is the first year I have ever made any pickle. I started my lemon pickle towards the end of May. That took 4 weeks. And I put together this lime pickle towards the end of July and it, too, was ready in 4 weeks. It could take longer depending on where you are located and how much sun you get in summer. Next year, I will probably do both at the same time, after the last frost and once the days are warm. My daughter loooves pickles too, the spicier the better, while my son just has to look at them and his eyes will start to water! go figure! vow your pickle is mouth watering. Curd rice and your pickle would defintely make a good combo. SH, I must say that your daughter has her taste-buds in the right place! It's been yet another 95F day here in Colorado. I was just complaining to my neighbor that if I had known in advance, I would have cooked many more pickles in the sun! I'll be making these over and over again from here on so I can always put out a 'pickle making alert' next year. And we can all have fun reporting on our experiences and variations. I will be posting soon about a carrot pickle that can be made at any time of the year, so maybe you could try that? My daughter loves that one, too! Tastycooks, you are so right! We've had that refreshing meal of dahi-bhath and lemon or lime pickle many times now! I've never been inspired to make pickle before I saw these pictures. Lovely! Oh do try it! These pickles, especially the lime pickle with ginger and chillies is very delicious! There were two reasons I made these pickles. My supply of pickles ran out much quicker than it usually does because of my daughter. And, the abundant sunshine! Anything I can cook in the sun, I want to. I wanted to make gulkand, too, but I have had problems finding organic/edible roses in the area. The florists at the Boulder Farmers Market were clueless. They directed me to Whole Foods, who didn't know of any nurseries in the area that grew organic roses. I've located a nursery in California that sells organic rose bushes. I'm seriously considering growing my own roses to make gulkand. Ooo...you are the pickle queen! Esp with no oil kind of recipes!!! Wow...! I just saw a comment on one of my recpies. Thank you for that. I just want to let u know that, this is the only way a kheema can be made in our place. If u see the recpie in other place, even I saw it there and took some of the wordings, they use lamb meat and I use goat meat, they dont use garlic and so many things. I think that is what makes the difference. And for your knowledge, I dont have a digi camera, so I use the pictures from the internet. All the pictures in published in my blog are taken from internet websites and not from any blogs. Inji, I missed seeing your comment earlier! Try this pickle next summer - we like to eat this one with our meals and we use the lemon pickle mainly on sandwiches and bagels, now! Anon, if you are who I think you are then, thank you very much for responding. Recipes will and can be the same. However, when the method is identical, and you know where you got it from, it's a good idea to say so. As for images, since you say you are getting them off the net, make sure these are in the public domain and you are not violating copyrights when you copy them or use them in your blog. It doesn't matter whether the originating web site is a blog or a regular web site - copyright remains copyright. I hope this helps! And, welcome to IFR! Anon in NJ, welcome to IFR! Do try the lime pickle. It's great. 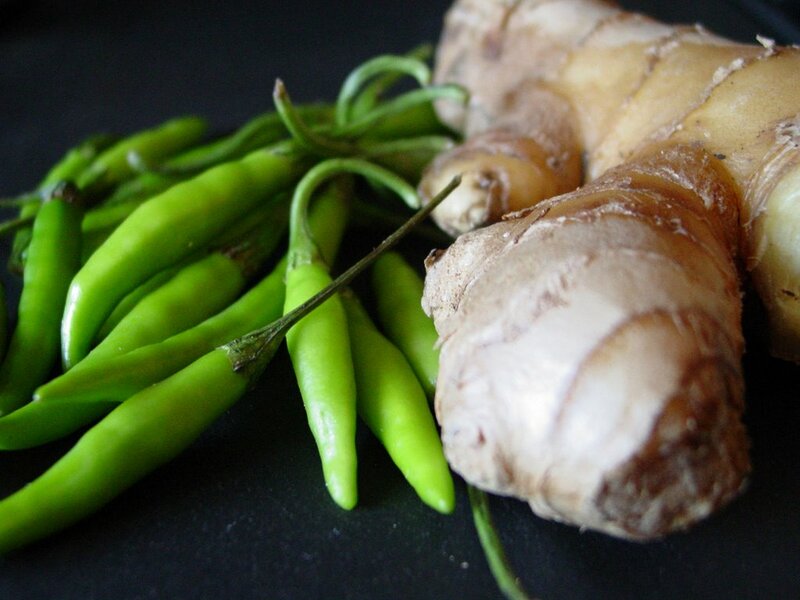 You should be able to find hot green chillies at any Indian grocery store. Or a Korean or Asian store, too. There are tons of stores out in NJ, you shouldn't have a problem at all! Now Goan food, that's another story! And especially if you want authentic Goan food. The stuff that is put out as vindaloo, for example, is just an extra spicy onion-tomato sauce with potatoes and meat. Mmmm! This is making me hungry for vindaloo! I must make some soon! If you find authentic Goan cuisine in NJ, please let me know! My sister is in NJ and she would be thrilled to bits to savor it, too! Pelicano, you're my treasure trove! I have great western exposure in my kitchen. You think I can place the pickles on my window sill during the day and then near the vents at night? Although I drop the heat a fair amount at night that it kicks in only if it gets really cold outside. But it's definitely above 60F. Blood oranges and grapefruit sound like exotic ingredients for pickles. Start that blog now! Or do a guest post here! I would be very honored! It's great to have you here at IFR! Yes, this is THE pickle :). Pelicano, never tried blood oranges, but ye Grapefruits work well with ginger. Back home Punjabis often make a Galgal-Adrak achaar. "One one hand i am not sure it's a good thing to be eating so much pickle"
Manisha, it is-a very good thing ;). Pickle-holic like me who needs pickle with every meal at home knows that it is :). I wonder how jalapeno's would be ... my mouth's already watering ...:)..I used them instead of thai chillies ..
thanks for your wonderful pickle recipes, I bought limes yesterday and have made pickles according to u'r recipe, I just made one mistake, I did not see your post of lime pickles, and since I had bought limes, I followed your recipe for lemon pickle but instead of lemons I put limes and now I find that u hav a recipe for lime pickle. Now what shall I do? Musical, I totally missed seeing your comment before. Sorry! And I, too, need pickle with every meal but lately I have been trying to cut down on my sodium intake, so I try to limit myself! I am considering pickling grapefruit this weekend. I need jars! IM, welcome! The key limes I get here in CO are really teeny. I am sure the fruit in FL is more juicy and luscious than the fruit that makes it over the mountains and across the prairies to us! The spicyness of this pickle is totally within your control. You can fewer green chillies, if you wish. But seriously, I wouldn't! Even if you don't crunch down on the green chillies, they impart a wonderful flavor to this pickle! And jalapenos would work. I used serranos this year as I didn't get good quality Thai chillies when I was ready to put this together. Nainakr_73, you're just fine! The original recipe that was used in my family was for Indian limboos (nimboo), which is in between key limes and Persian limes. Since I could not get that fruit here, I experimented with lemons and it worked very well. And then since my sister also made pickle using this recipe, I tried it with limes we get here in the US. I think you can switch the recipes around, using any citurs fruit that is available to you. Personally, I have only worked with lemons and limes but Pel has pickled blood oranges and grapefruit, too! So relax, let your pickle cook slowly and enjoy it! Welcome to IFR! These pickles look so gorgeous n taste must have been heavenly. We make similar pickle back home in goa but without methi i thik ( not sure). I will surely try these. Manisha, my lime and lemon pickles are just about done -- just as well, too, as summer seems to be over -- with taste adjustments. Thanks much for the ideas and inspiration. Would it be possible to cook this recipe inside a car year-round?? (I know that temperatures can soar inside a closed vehicle!) Just a thought. Great blog. I've been reading it for some time. I just made the lime pickle - it's great. I started it in the middle of August and used to leave it in my car to cook in the sun as I'm not home all day to keep moving it. 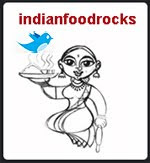 Pooja, welcome to IFR! Your sungtache hooman brings back so many memories! Whole methi is my sister's touch. They swell up, absorb the flavors and taste fabulous! IM, 14 days! I am stunned! Sunny Florida, indeed! Argus, always feel free to adjust the spices to suit your taste buds once you have the pickle going. Glad you liked it! Laura, you sure can cook it in your car! Why ever not! If cookies can be baked on the dashboard, why not pickle, eh?! And that is just what Maria has done! It never occured to me as I work from home! I will update both this recipe and the lemon recipe with this suggestion! Thanks and a hearty welcome to both of you! Using key limes from garden, 1/8 cup gray sea salt with Herbs de Provence, etc. Hope it works; rain today in San Diego, CA but the sun WILL come out. 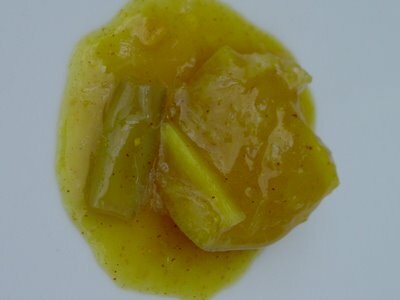 i'm VERY interested in making thise, but i am looking for a recipe that yields more of a salty lime pickle than a sweet one. Are these lime pickles sweet? salty? sour? i realize that it has to be a combination of all three. i am just wondering if they are more salty than sweet? is it possible to describe the flavor? can the sugar and salt ratios be changed to yield a more salty lime pickle? what would you suggest? thank you for your help and wonderful recipes! Travelita, I'm sorry I missed seeing your comment earlier. The salt works as a preservative and what I have learned is that the sun provides the warmth for a process of fermentation. So even if there is no sun but it is warm, your pickle should do just fine. It might take longer, that's all. I hope it worked for you! Welcome to IFR! Caleb & Anthony, welcome! The sugar in this recipe helps with the process of fermentation. So the end result is that this pickle is salty and the green chillies make it spicy. It is not sweet. I wouldn't add more salt as it is already high in sodium and quite salty. Why don't you make a small batch and see how it goes? You can *always* add more green chillies to make it spicier. This past summer (2007), I added some thin sliced carrots to this pickle. I've been looking for a lemon pickle recipe that I used to love back in India. Of course I can't find that pickle in the Indian grocery stores, so I thought I'd try to make it myself. The pickle I'm looking for almost comes out really dark and kinda dry and really sour rather than hot. Does that make any sense? Please let me know if you know which lemon pickle recipe that could be. I prepared the lime pickle and lemon pickle as per your blog and left it in sun for 2 days and after that it started raining cats and dogs here with cloudy skies, all time for the past 5 days. Well, there is similar weather forcast like this for another 10 days.. i am scared abt the outcome of these pickles, i left it in the oven with the lights on... how can i proceed further, can you suggest me some ideas so that i can proceed further. I actually just use all the lemon pieces left after the juice is squeezed out. I add green chillies and ginger juliennes and lemon juice and lots of salt and leave it in the sun. Never gets wasted! When it is soft my hubby takes out a bit and adds lots of finely chopped green chillies and squishes it well with his fingers- then you can even mix it with left over onion chutney. This summer I've made both the no-oil lemon and no-oil lime pickle this summer. The lime pickle just became ready last week and it is delicious! It is the lime-pickle I have been wanting to make for years! The lemon pickle should be ready soon, and I can't wait! I wanted to report that I made this pickle - and it turned out better than all my other attempts at lime pickle so far. I didn't have much sunshine in the northeast when I made it in September, but I was able to cook it inside my car, which still got hot enough in the sun to cook the pickle. After one too many gloomy days, I put the bottle in my slow cooker on low. It seems to have worked, although I don't have as much syrup as you have - my pickle is nearly dry. Tastewise, it's not bitter like my other attempts - there's just the right amount of sugar to balance it out, and its not sweet - so I like that. I spoke too soon. Even though the peels had softened, it needed just a touch more time to come together. If it doesn't taste quite right, leave it alone until its delicious! I tried blood oranges too, using the lemon pickle recipe. The peel was WAY too bitter. As I was throwing it out, I realized that the, um, goo was not intolerably bitter, so I saved that & threw the peel away. I made both of your pickels Lemon and Lime, giner , chilli pickle...both pickels taste awesome, I live in Canberra city in Ausland..which gets very hot during summer...so I think I saw your recipe on time .... I hae made Lemon pickle twice so far. I wondered if you could help me I followed a recipe for lime pickle from an Indian cook book. put the pickle in the sun for 4days(Spain)then put in cool larder for 1month now it is fermenting and squeezing out of the kilner jars(a feat in itself! )I now don't know if it is safe to use, any ideas? I will be making your recipe for lime pickle today,but don't want to waste what I have already done. Tina, in my comment above I talked about fermenting. I wish to retract that statement after much delving this past year into pickle-making: already-sour things (like limes, mangoes, amla, etc.) are usually NOT fermented; they are salt-cured. For nimbu/key limes (Citrus aurantiifolia), recipes should use (as a minimum) 4 teaspoons of salt per cut-up cup, or about 6 nimbu if you leave them whole. Use 6 teaspoons of salt per cup of juice. I have published the recipe here. Have a look when time permits. The pickle tastes great, thanks for the recipe. You make me feel like going to the market right away & making this Manisha!It rocks...& I have to make it soon. Has all my fave flavours. Wondering if I can wait two months though...YUM!! My mouth's watering! I'm just thrilled I found this blog! I will be making both the lemon pickle and lime pickle. At the store I have seen small mexican limes 20 for $1 here (about the size of a walnut shell) that are now plump and in season. 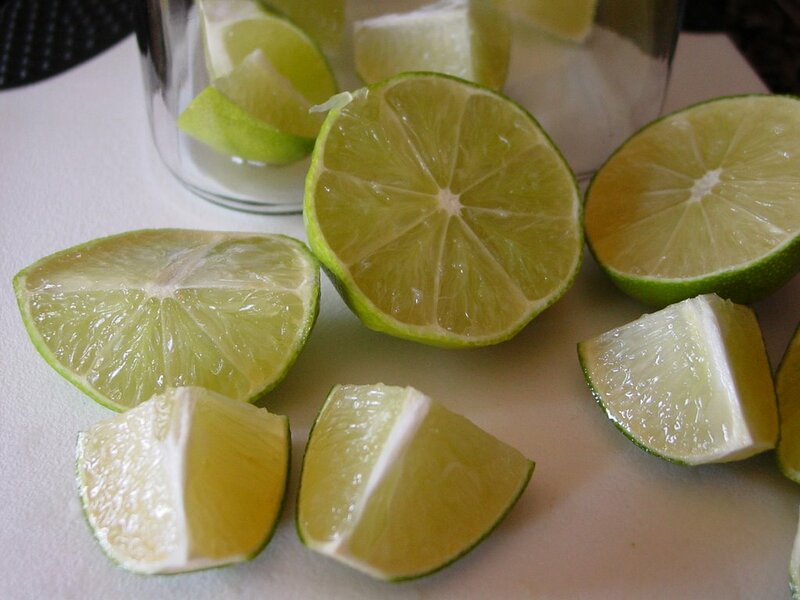 Would it be possible for you to estimate how many cups of cut up limes are used in your recipe? Being in an apt. without sun, I'll be placing these in the car. (I live in the Sonoran Desert - it's hot and sunny here.) Thanks!! Might you happen to know if I make this recipe using mexican limes, should I use extra sugar because the limes are extra sour? DesertNails 20 for $1! I envy you! Are these Mexican limes a little bigger than key limes then? They sound like they might be the size of Indian lemons. I'd say use about 10-12. Based on what has been said about this pickle on fermentation groups, the sugar is to feed the naturally occurring bacteria, especially as the final result is not sweet at all. I'd suggest that you stay with the initial proportions in my recipe and adjust it for sugar by the time it is almost ready, but only if you want the pickle to be sweet. This is not a sweet pickle. It is sour and spicy. I don't know what key limes look like but these Mexican limes are usually the size of a quarter (except spherically shaped of course) but right now they're bigger - about the size of a walnut shell. I was so excited by the recipe that I went ahead and started the Lemon Pickle recipe and the Lime Pickle recipe (using regular limes). The UV radiation levels have been 10-12 this week with temps around 110 F, and they seem to be zooming along. I'm using my neighbor's sunny patio and we've both been happily discussing the changes we've seen every day this week. What fun! Hi I am a blogger from India and blogging is my passion. I am here to know procedure for preparation of Indian lime pickle. my friend's mom makes this lemon pickle and she wont tell me how she made it... maybe because its too complicated but it looks like your lime pickle and it has this leaves with it as well like curry leaves i guess....not sure if it has ginger since I cant really taste the ginger. have you ever had it? If you did do you mind telling me the recipe. I'm so excited to try this recipe! I'm in Colorado too and look forward to trying many of your creations. I made this pickle in the slow cooker, with a few modifications because we can't get fresh chilis here, so I had to use dried. I cooked it for about 6 hrs on Low, part of the time covered (because my husband panics whenever I use the slowcooker)and part uncovered, to evaporate the steam that forms when it's covered. I thought it wouldn't really work in the slowcooker, but after it cooled and spent 48 hrs in the fridge, I tasted it and compared with some commercially-made lime pickle I had left...and this is better! It will be even better next summer, when I can make it properly, in the sun. Hi! Thanks a lot for your very simple and really tasty pickle recipe!I made it last year and the whole bottle of 1 kg of pickle was consumed before one could say "Jack Robinson".This year i'm making 2kg pickle to be on the safe side!!!!!! Oooh, Manisha!! I made your "solar powered" lime pickle this year and it is completely out of this world! I used chipotle powder and let it sit in my sunny window for about 6 weeks. After a month, when stirring it I tasted what was left on the spoon and thought, oh dear, it's so bitter! But then I realised I'd never tasted the lemon pickle in all the sunning process, so what did I know if it was "wrong" or just not ready yet? I added a tablespoon or two of sugar, shook it around, and let it sit for the remaining time. It is ready now and SO GOOD. We are now having temps of 46 degrees and I think I know where I can get Thai chillis so this weekend I intend to put up another jar! pdkamath, sorry my reply is late but thanks for your interest! rix93008, I wish I could say I have tasted that pickle as it sounds delicious! You could make it according to this recipe and then add a tadka with curry leaves, but only after the oil has cooled down, of course. Good luck! Rekha, wonderful! I hope the Colorado sun was as good to you as it is to me! chic, I make huge amounts each year, too! I end up sharing with friends but my family makes sure I keep enough for them! anna, you are adventurous! Did the dried red chiles plump up? You can use red chile powder instead, too. Just like in my lemon pickle. I added ginger to my lemon pickle this year and it's quite delicious! And yay, for the sun! I like to call these pickles, my slice of sunshine! You will *love* the flavor of the pickle with fresh green chiles. It is bright and oh, just so wonderful! Hugs! anna, I forgot to mention that you might have toasted your methi seeds just a tad bit more if you got a bitter taste. Try toasting them a little less next time to see if you still get a bitter note. I followed your recipe and the pickle turned out just like the picture. I used lemons though not limes and it still tastes wonderful. It was ready in less than a month in the hot California sun. Maybe because of the soft thick lemon skin. Everyone who tries it loves it. Thanks for the recipe! Thanks for a great post Manisha. There's not enough sun here in Perth Western Australia now we're heading into winter. I've got limes and wanted to try your recipe so am trying it in a slow oven - on my overn's yoghurt making setting. I've followed your recipe apart from using less chilli and less ginger. I wondered what you think about using slow cooking instead of the sun - how long and what temperature? Do you think it'll work with slow cooking? Appreciate any comments/suggestions. Thanks in advance.